The errors I made from this week, considering and aligning my Post 94 to work on. Question my approach, whether my T/P is in a realistic zone and what is the probability of it hitting. Aiming too high or low is detrimental to my success. 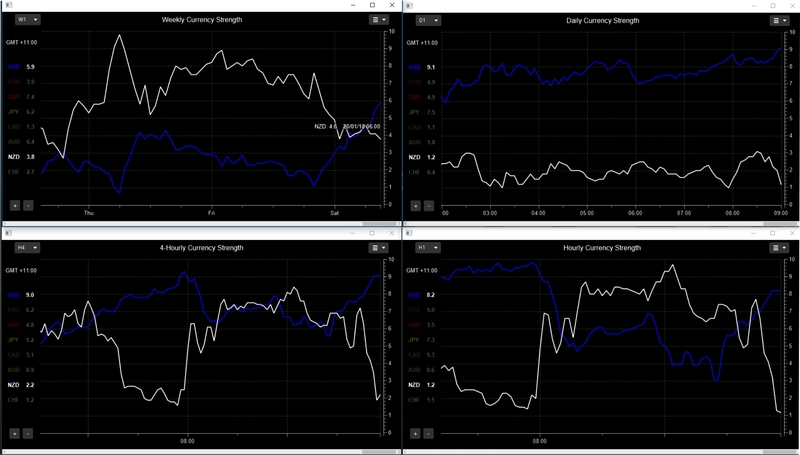 Trade only one or two US currencies, decide on economic events and news, concerning currency correlation. My other trades have to be EURO or YEN crosses. Consider dividing my capital risk proportion of 1.25% into my open trades. Since I am not a swing trader, as I presume from the past two weeks of experience, my S/L and T/P needs to be aligned with a day trader’s approach. ATM I have an S/L of 14-17 to T/P 18-24 roughly. IF my Bottom end of my T/P is larger than my S/L top end, I can make some profitable trading. The biggest problem I had was the randomness of my S/L & T/P and will need to structure it. Also, getting too involved in the market, getting out of the trades too early, well, too much to remember . However, I am getting better every week, and therefore, will keep improving weekly and hopefully turn a profit next week, but my main priority is just to keep learning, that’s it. Hi Ben, it may pay to find a Currency Strength Indicator/Meter which gives some insight into which of the pair has the overall strength and the pairs possible future direction. Below is 4 TF’s of the NZDUSD for the last week and you can see that long term the NZD had the strength and therefore the moves later in the week after the USD strengthened were downward or Shorting situations. Weekly TF shows the USD as taken over the strength by end of week and this is confirmed by the Daily TF…The 4H and 1H TF’s are fluctuating wildly, possibly due to turbulence from the recent cross higher up the TF. So…next week we can reasonably assume that the pair will move downward…lets see. 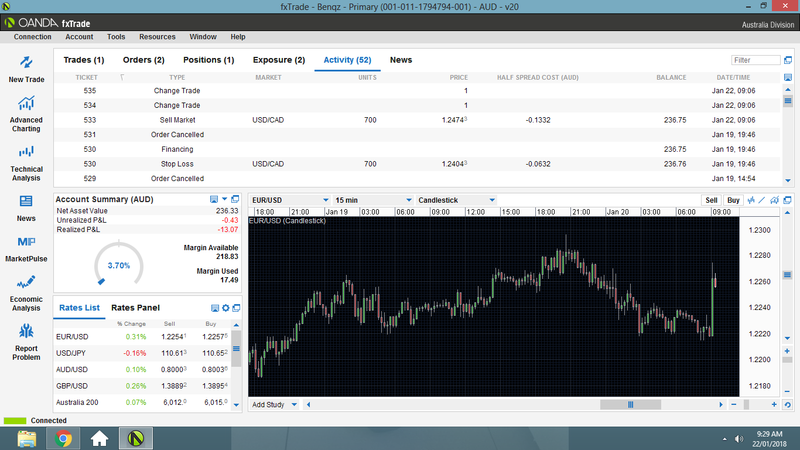 Or in Bar Chart form you can see how the NZD weakened and the USD became dominant towards EOW. Have a read of this excellent thread from Dennis, it will give you a better idea of using the CSM. I considered my past mistakes and won’t be opening more than 2 trades on the US ever. I will find EURO or YEN crosses. My current trade is on CAD/USD since the spread is lower than CHF or EUR at 15 pips previously, I got it for roughly 4 pips. Oil has had positive news of a rebound of $100, so the trade could lead to a good outcome. My S/L seems like its pretty close but the fundamentals, news on the US, the downtrend of the USD against the CAD and oil prices with news of a possible recovery to $100 makes it a high probability trade. I got stopped out, however, I kept the same idea of my original plan and short the EUR + CAD against the USD and lowered my units to match my S/L. Will print screen it when I get home. A reminder to myself, I will not put more than 2 trades on for the US! doing it the other way goes above your risk requirements. You could then use a multiple of the ATR to calculate your stops. 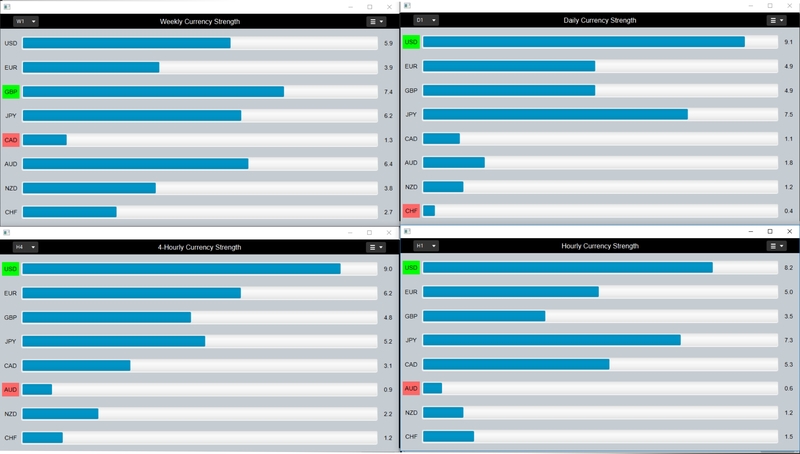 So, for example, by using 2xATR(12) you would be saying that you want to be able to weather two average size bars moving against you before being stopped out. If you find that doesn’t work you could try 2.5x, or 3x, and so on, until you find the right fit for your trading style. I’ll definitely consider thinking about it when I am at my laptop to work on my trading, thank you. This is shifting my original trade ideas which are causing me less profitable outcomes. I plan on only trading four trade ideas a day, two for the US and two for the cross-currencies. Also, I need to avoid making quick “trade idea decisions” while I am out. USDCAD - it was based on the fundamentals, however, oil movement seems more relevant for the CAD than the recent economic event that occurred. Since I am going to be home all day, I thought I’ll do a more detailed fundamental analysis for the week and strategise for days I am out and be self-critical about my approach to trading for self-development. I lost my USD/CAD trade because I emphasize the fundamentals rather than technicals. Hence, when two economic data rebound each other, it’s better to take a technical and sentiment approach in your trading. What I dislike about trading Comdolls is when there is a positive outlook on the economy versus a negative outlook on the commodity, It can go either direction. However, when both the commodity and economic event are in the same direction bullish or bearish, it tends to make a high probability trade. If I am going to work or go out, I should lower my S/L & T/P expectations. Sometimes I take a swing trader’s S/L & T/P when I should be lowering it. Anyways, to the fundamentals, currently gold and oil have optimistic views, USD weakening due to the Senate close down, overall sentiment of the greenbuck bearish and comdolls are gaining strength against the USD because of optimistic views on commodities. 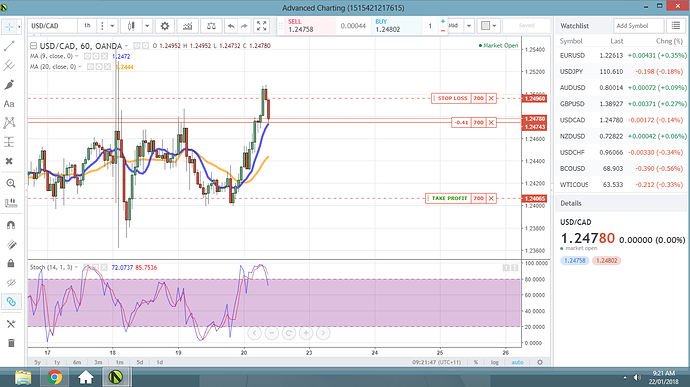 Trade plan for the day. Consider using ATR as a S/L indicator. 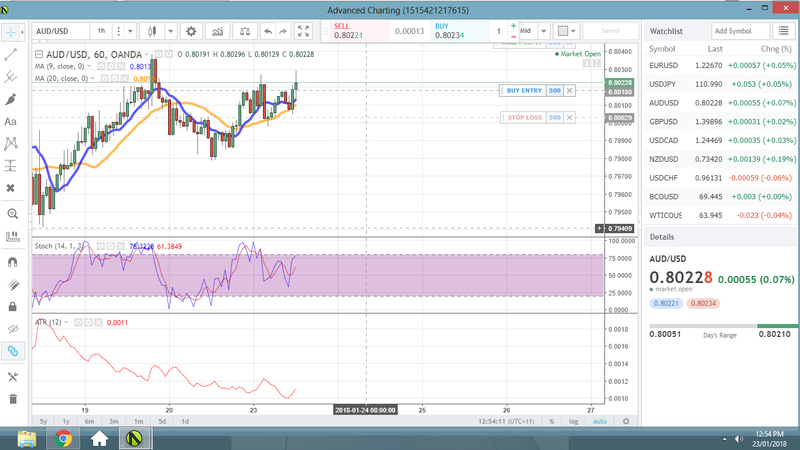 AUDUSD - the sentiment of the AUDUSD is bullish, gold prices are optimistic, MA is showing an uptrend. Price will sway and consolidate therefore, I will enter at a better price than offered. I considered using ATR for S/L & T/P and will start using 1.5x first to get an idea of how it works. I have already done two trades on USD and one on YEN. Now, I’ll find a EURO trade. I ended up cancelling my NZDJPY trade and wanted to take a higher probability trade on the retracement of the AUD/USD. There have been no changes to the fundamentals of the AU economy, gold or US economy from what I know, and therefore found it a high probability trade. 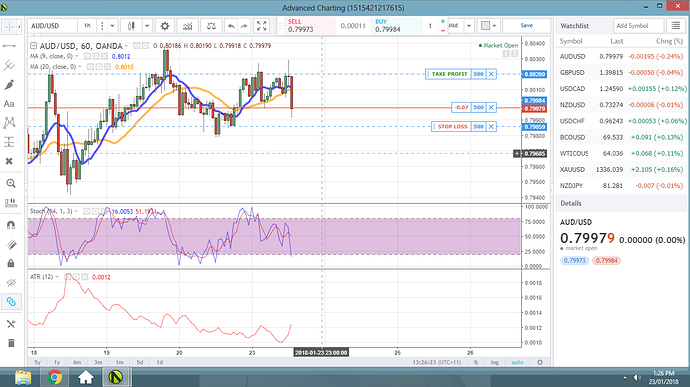 I also, took off my USDCHF as it was betting against my AUD/USD trade. the BOJ kept their interest rates at -0.1%, which was bearish on the USD, I’ll wait until 3 pm to enter a trade after the effects of interest rates. What I noticed is that every little change in each major economy affects the US and every other major economy. When one major economy moves it has ripple affects on the other economy. 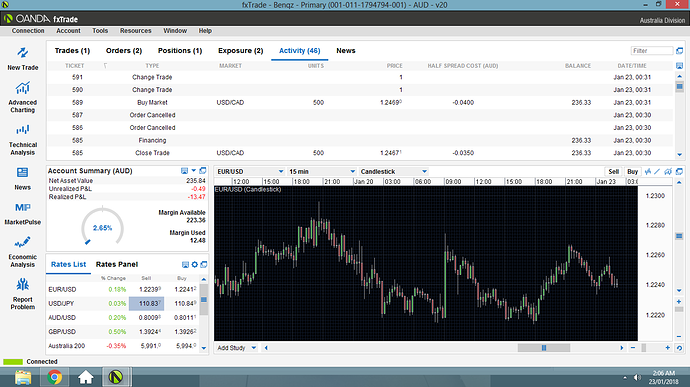 A lot to learn, but gradually I’ll grasp the idea and get better at trading. I actually took a position based on a 1 to 1 RRR, since the BOJ outlook and monetary policy statement seems good. I waited till it reached a good spot to match my S/L and a decent spot for T/P. I believed it was a high probability trade and the MA is heading downwards also. The next economic data for JPY to release is in one hour + one hour and a half and need to be careful with my JPY trade that is currently open. i recommend give it a try. the whole single chart trading thing, will only take you so far. Thank you Martin, I’ll definitely give it a shot and look at it later tonight. I am starting to understand why you guys go for more a swing trader and technical approach when it comes to trading. Good News usually puts the pips slightly up or down depending on the impact but rarely changes market sentiment or market trend unless it’s a huge impact. I am devising a trade plan while I gain practical experience and it’ll probably be a while before I can fully make it profitable. It’s more of a hybrid type of trading involving scalping, day trading and swing trading. The later I neeed to incorporate definitely. I think for swing trading a more technical approach is important with some fundamental understandings useful. Not to open too many USD trades at once, consider EURO and yen crosses. Plan my trades around economic events because they do tend to strongly affect my pip value on my S/L and T/P when I am day trading. I usually have S/l of 15-20 to T/P of 18-24. If I can get in early on an economic event that I know I can profit, I’ll take a scalper approach in my trading, take what you can. I need to experiment with swing trading, where I’ll use H4 & D1 to approach my decision. 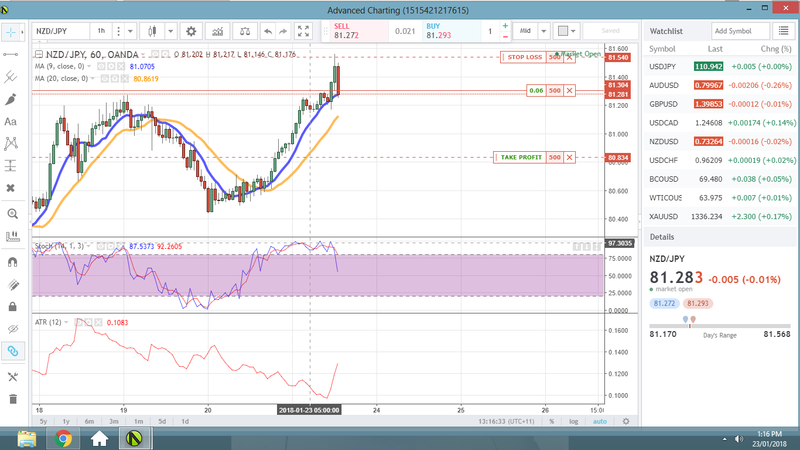 I have never swing trade but I assume a S/L of 50-60 and T/P of 80-100 could be a good amount over a 3-5 day period. 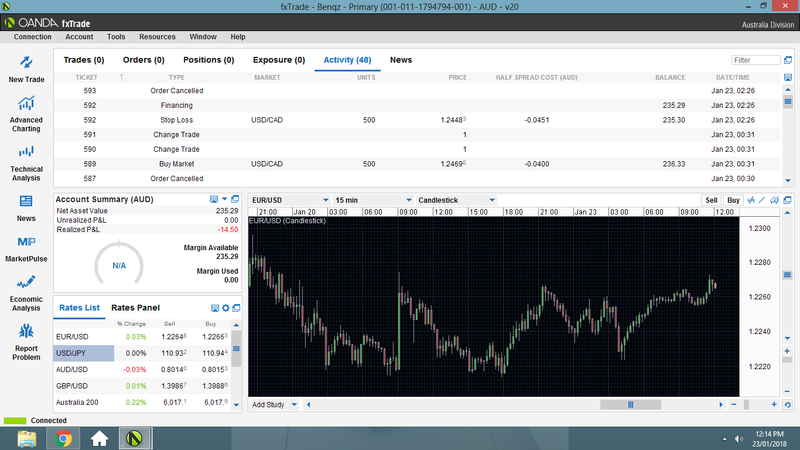 Also, it will make me take a more technical approach to my trading which I should consider actually. I definitely need to combine all three approaches to maximise my earning potential. Once I start practicing swing trading, I’ll be able to see on a longer term which will improve my trading. I have a slight idea on scalping and day trading, however, swing trading makes me uncomfortable and I know it’ll probably be the most beneficial experience, I’ll gain but I am leaving it to last . I lost on my USDJPY trade because i read the news wrong, they’re going to continue using monetary easing even thought there are signs of an economic recovery! If that is the only thing to take from this past month, it is a month well spent. It’s more of a hybrid type of trading involving scalping, day trading and swing trading… I definitely need to combine all three approaches to maximise my earning potential. This is one of those things that makes sense, but doesn’t actually work out particularly well in real life. I know that you have already seen my post on this subject, but it might be worth reading again. Building a trading plan takes time, especially when you probably still need to pin down which indicators your plan will be based on. In my experience, at least, it takes months of intensive back-testing, forward-testing and tweaking to build a plan that you’d actually want to go live with. Spreading your efforts across three separate strategies on three completely different timescales means each plan is going to take that much longer to build, and that much longer to refine. In practice, it is going to take you longer to become profitable, and getting profitable ASAP is the name of the game. Once you have a proven money-maker, then you can take some time building additional plans in your spare time. Having watched you trade, I’d say you are prone to burst of intensive trading, you like short trades and you like even shorter stops. Take a look at the M5 or the M15 to see if either of those suit you. If they do, see if you can build a plan that focuses on them. Ben, what is happening to you has happened many guys when learning, death by 1000 cuts - shortish stops getting hit often. 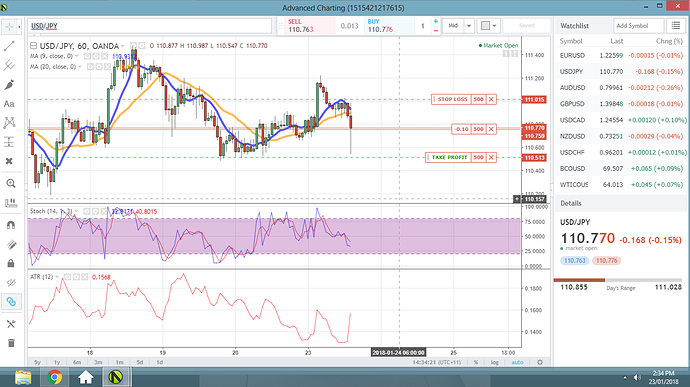 Think about mixing FA with TA - for example on your USDJPY chart, see the little flat area that closed out Firday - end of week, guys going off to bars/home etc, not much price action - wonder what is being set up for Monday - then have a look at your stoch indie - any clue there, can that help you think about direction Monday morning. Then again the FA, USD is wobbly, so nothing wrong with your thinking re JPY, but again check out what happened after your trade, a Double top formed - not unusual in FX to see price move against the FA to form a DT or hit a previous level, then maybe set an order below the level - SL above it. Guys had bought the little flat area (ref Friday) with stops under, MM’s tried to reach some of those yesterday, they will do it today - therefore that would have been your trade - tight SL long TP. 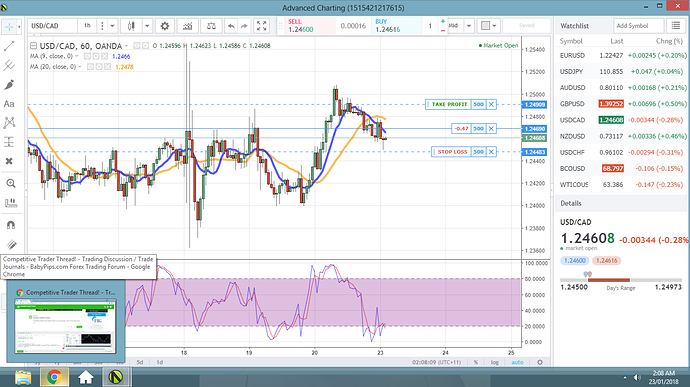 Also Eur/Usd and Usd/Chf - often they will mirror each other intraday. Yes, combining all three Technical, fundamentals and sentiment is crucial, you are right. Yep - they’ve taken those stops just now the aim is for below 110.30 - many guys will be happy with the 50 or so pips, others will hang in.